National Hispanic-Serving Institutions (HSIs) Week (September 17-23) marks the start of Hispanic Heritage Month at Warner Pacific University. HSIs Week is observed by colleges and universities across the nation who belong to the Hispanic Association of Colleges and Universities (HACU). The Hispanic-Serving Institution designation requires over 25 percent of full-time students identify as Hispanic or Latino. 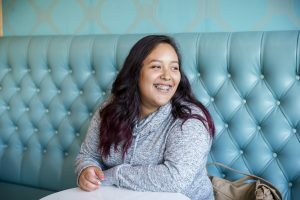 With over 35 percent of its student body identifying as Hispanic or Latino, Warner Pacific is Oregon’s first and only four-year institution to earn the HSI designation from the Department of Education. There are currently 492 HSIs. This week is observed to recognize the critical role these institutions play in educating and empowering Hispanic youth. HSIs improve access to higher education and advance equity for traditionally underserved students. The HSI designation benefits all Warner Pacific students, as it opens the door to scholarships to any student who attends an institution that is a member of the Hispanic Association of Colleges and Universities, regardless of race or ethnicity. Federal agencies that provide grants and scholarships to students attending HACU institutions include the departments of Agriculture, Education, Health and Human Services, Housing and Urban Development, and the National Endowment for the Humanities.